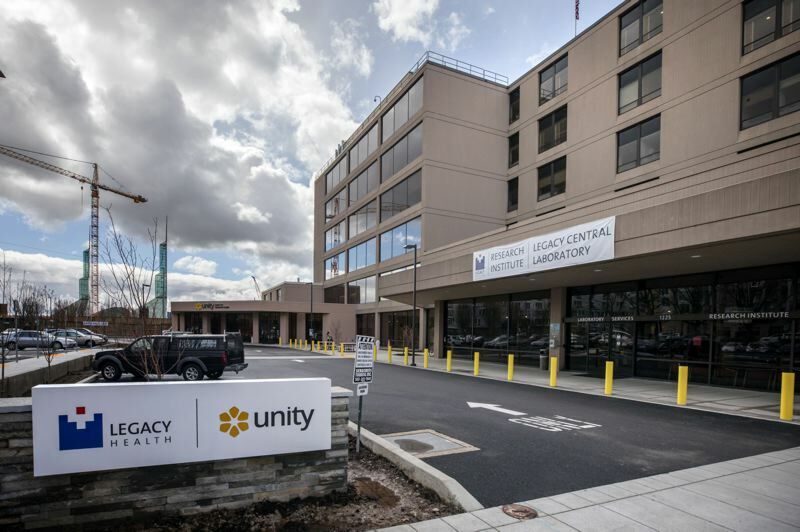 Legacy Health's troubled Portland psychiatric facility, the Unity Center for Behavioral Health, appears headed back into the good graces of federal regulators after taking steps to address major problems that jeopardized patients' safety there. Oregon Health Authority officials Wednesday morning said they had recommended a federal oversight agency take Unity off a "termination track" that would have decertified it from receiving federal reimbursement. The announcement capped months of scrutiny over Unity employees' allegations of hazardous practices, poor management and understaffing, problems that state investigators confirmed and suggested contributed to two patient deaths at Unity in the last year. The outcome is not unexpected, as a shutdown of Unity by the federal Center for Medicare & Medicaid Services would have triggered a regional crisis in care for people experiencing mental illness. Legacy for month has been working on addressing the problems that three rounds of state inspections have turned up. "In recommending that the termination be rescinded, OHA surveyors informed CMS that Unity has sufficiently implemented an acceptable Plan of Correction that will allow it to meet CMS Conditions of Participation," said Dana Selover, M.D., manager of OHA's Health Care Regulation and Quality Improvement Section, which administers the Health Facility Licensing and Certification Program. "The Plan of Correction has additional steps that the facility will use moving forward to ensure that patients will receive a level of care that meets state and federal standards." Unity Center was set up to great acclaim in January 2017 by four local hospital systems with state and local support, to address problems with the boarding of people in mental crisis in ill-equipped hospital emergency rooms. But early this year two Unity employees alerted state officials to what they called poor management and understaffing that one said had created a "hell hole." State investigators followed up and found numerous safety hazards and poor practices. The state findings largely confirmed the account of a Multnomah County mental health investigator who went public with his claims that he'd raised concerns about patient abuse and neglect at Unity, only to be ignored by county management. Two mental health managers remain on leave as a county investigation continues. Meanwhile, the state findings caused CMS to place Legacy and Unity on "termination track" in which it would lose its certification to accept federal reimbursements unless the hospital system fixed the problems. An initial deadline of Sept 11 was pushed back to Oct. 31 as investigators found problems had lingered. On Wednesday morning the Oregon Health Authority issued an official announcement that inspectors felt the hazardous conditions found at Unity had been fixed. They have submitted their recommendation to the federal regulators, who are expected to make a formal determination as early as next week. Brian Terrett, Legacy Health's director of public relations, on Tuesday told the Tribune that Unity staff have been focused and working hard on meeting various benchmarks called for by the facility's corrective action plan, with large boards posted on the wall, and "essentially we'e been at 100 percent compliance." He said the corporaton's commitment to improved safety will not end now that its federal certification is no longer under a cloud. "What I can tell you is there will be an intense focus on ensuring a safe environment for patients and staff at all times," he said. "The sense of continuous improvement will not stop when the investigation is over."